Elizabeth Taylor, Rock Hudson, and James Dean. 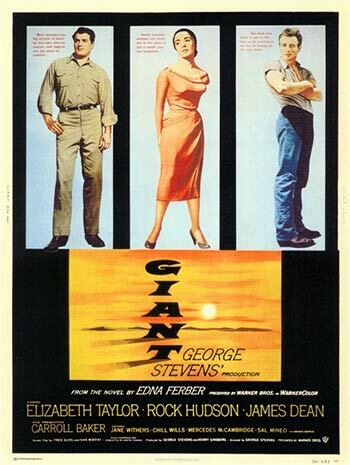 A marvelous cinematic epic made to the measurements of Texas’ grandeur, this film proved to be the last of James Dean’s short career. He certainly goes out with a bang as Jett Rink, a constant thorn in the sides of Elizabeth Taylor and Rock Hudson’s married ranchers. If you ever plan on making a 200-minute-long movie, take note: this is how you do it right.